Input trigger signal: 10us TTL impulse. 1Pcs Module s. Note : the module should be inserted in the circuit before been power, which avoid producing high level of misoperation;if not, then power again. Trigger: L can not be duplicated, H can be repeated, the default value of H. level output: 3.3V high, low 0V. Working temperature: -15 to 70 degrees. Sensing range: less than 120 degrees cone angle less than 7 m.
Humidity: 0-100%. Humidity: 0.008%. Humidity: -3%. It uses both I2C and SPI (supports 3-, 4-wire SPI) interface. Interface: I2C (up to 3.4MHz), SPI (up to 10 MHz). Temperature: -40 to 85°C. Pressure: 300-1100 hPa. The USB transceiver inside the 32U4 allows us to add USB connectivity on-board and do away with bulky external USB interface. This tiny little board does all of the neat-o Arduino tricks that you're familiar with: 4 channels of 10-bit ADC, 5 PWM pins, 12 DIOs as well as hardware serial connections Rx and Tx. 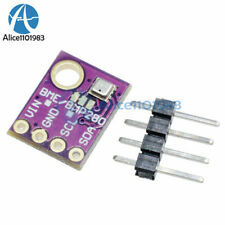 1PCS AM2302 Temperature and Humidity Sensor. Humidity range:0-100%RH. Temperature range:-40~80℃. Category 1. 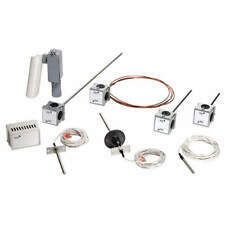 100% brand new and high quality DHT11 sensor adopts The module can detect surrounding environment of the humidity and temperature High reliability and excellent long-term stability output form digital output has fixed bolt hole and easy installation Cables are free for you Specification: Humidity measurement range: 20%~90%RH Humidity measurement error: ±5%RH Temperature measurement range: 0~60℃ Temperature measurement error: ±2℃ Working voltage :5 V Size: 28x12x8mm. 1 x Analog Sensor Cable. Analog output. 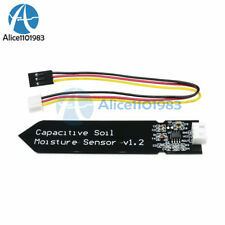 Supports 3-Pin Gravity Sensor interface. 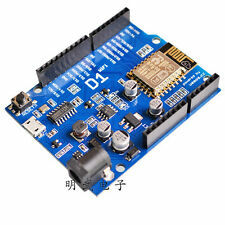 Compatible with DFRobot 3-pin "Gravity" interface, which can be directly connected to the Gravity I/O expansion shield. 6, module size: 4.4cm x 2.8cm screw hole center spacing 23mm x 38mm. Impedance matching, ensure drive capacity, long-distance data transmission against signal radiation. 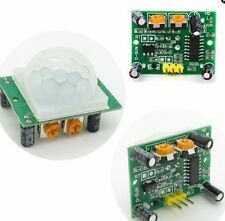 1, support CAN V2.0B specification, the communication speed 1Mb / S.
Use this sensor produced an automatic plant waterer device, so that the plants in your garden without people to manage. output high, when the the soil humidity exceeds a set threshold value, the. 2 x Dupont Lines. With 16Mhz crystal. Supported under Arduino IDE v1.0.5. The USB port is also available in single row pin strip to connect a USB cable (Host) to connect other Devices. Color : Blue. 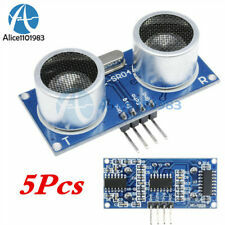 5 x Infrared obstacle avoidance module. active infrared sensors to detect the reflected, and thus the shape of the reflectivity of the target detection range is critical. The minimum detection distance which black, white maximum ; small objects from a small area, a large area from the Grand. Max Switching Current: 0.5A. 1x Stainless Steel Vertical Water Level Switch. Material: Stainless Steel SUS. Body Material:SUS304. Max Carry Current: 1A. Light weight and simple working principle,high reliability. 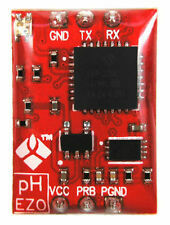 This board is a PCB interface board with MPU6050 sensor mounted. "Zero-touch" gesture user interface. Module × 1. We will leave it for everyone that leaves it for us. Acceleration range: ± 2 ± 4 ± 8 ± 16g. With the buttons on the rotary encoder can be reset to its initial state, that starts counting from 0. Pulse circle: 20. Accelerator range: /-2G, /-4G, /-8G, /-16G. Pin spacing:2.54mm. 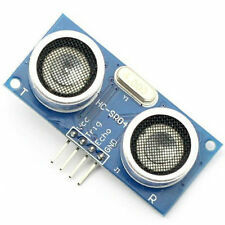 This sensor is great for all sorts of weather sensing and can even be used in both I2C and SPI! 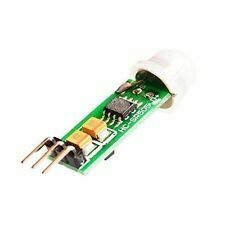 1 x BMP280 Pressure Sensor Module Arduino High Precision Atmospheric Replace BMP180. Target devices. Pcakge Included . Put the needle (2.54 mm). High-resolution conversion of light intensity to frequency. Programmable color and full-scale output frequency. Chip pins all has drawn for standard 100. Mil-convenient for bitmap board. 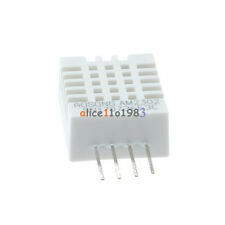 1PCS MAX6675 Module. 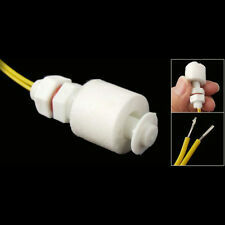 1PCS K Type Thermocouple Thermocouple Sensor. 9, the module weight: 4g. 10, module size: 25mm 15mm 13mm. 5, the temperature resolution: 0.25 °C. 8, storage temperature: -50 ~ 150 °C. Product information. Storage temperature range TS : -65 ~ 150 ℃. The ROHM genuine BH1750FVI chip. Digital light intensity detecting. Close to the visual sensitivity of the spectral characteristics. The sensor built 16bitAD converter. Does not distinguish between ambient light. This is a breakout board for the very handy 16-Channel Analog/Digital Multiplexer/Demultiplexer CD74HC4067. Arduino Module. (COM in the schematic, SIG on the board)to one of 16 channel pins (CHANxx). Trigger: repeatable trigger (default). Induction angle: <100 degree cone angle. Automatic induction: to enter the sensing range of the output is high, people leave the sensor range automatically delay off high, output low. For the amplification, we use the Maxim MAX4466, an op-amp specifically designed for this delicate task! Add an ear to your project with this well-designed electret microphone amplifier. - you'll need an audio amplifier (such as our 3.7W stereo amp) if you want to connect the amp directly. (The sensor’s accuracy is specified to range from ±3% at best to over ±10% in less optimal conditions.). XSHUT This pin is an active-low shutdown input; the board pulls it up to VDD to enable the sensor by default. With a small, simple wiring, low power consumption, high switching capacity, interference is strong, functional stability characteristics. Material: electronic components. Detail Image. Size: approx. Compact construction, sense the presence of an object by using the reflective IR beam from the object. 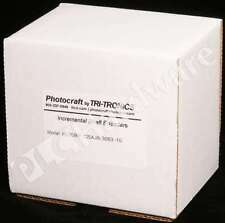 Detection of reflective materials such as paper, IBM cards, magnetic tapes, etc. 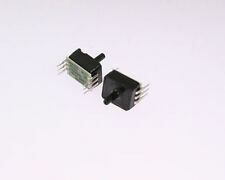 Position sensor for shaft encoder. Module High precision, blind spots (2cm) super close. using IO trigger distance, the high signal to at least 10us. Module works Detection distance: 2cm-450cm. Electrical level output: at the end of 0V. Product use: rain, rain sensor, can be used for all kinds of weather monitoring, and translated into output signals and AO. The comparator output, signal clean, good waveform, driving ability is strong, for more than 15 mA;. With the buttons on the rotary encoder can be reset to its initial state, that starts counting from 0. Reading system of alternating light transmitting window and the window is not consisting of radial indexing plate (code wheel) rotating basis, while being an infrared light source vertical irradiation light to the code disk image onto the receiving on the surface. With fixed bolt hole for easy installation. Output wavelength 650 nm. BMP180 arduino tutorial. Using a sensor as capable as the BMP180 you can achieve accurary of 1m. 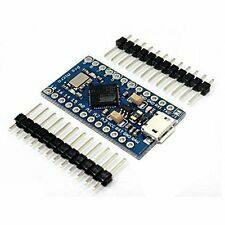 This device is really easy to use, if your thinking of using it with an Arduino then you need to check out our. With a small, simple wiring, low power consumption, high switching capacity, interference is strong, functional stability characteristics. Detail Image. Size: approx. 6 x 5 x 2cm (L x W x H). 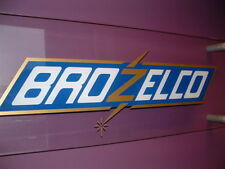 The product does not need to buy another probe, using household wiring can replace probe. Sensor Dia: Ø4 X 30. Temperature rang: -20℃ ~ 450℃. Cable Length: 0.5m. Mainly used for water testing, water cooling system. Insulation resistance: ≥ 100MΩ. Electric strength: 1250V/min. Detail Image. Use temperature: ≤ 80°C. 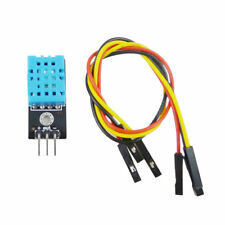 Load capacity: ≤ 10mA (DC 5V). This module uses 24 high-precision A / D converter chip hx711, is designed for high-precision electronic scale and design, with two analog channel input, the internal integration of a gain programmable amplifier 128.